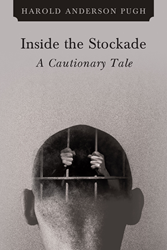 Recent release “Inside the Stockade: A Cautionary Tale” from Page Publishing author Harold Anderson Pugh is an enthralling account of the main character’s malfunctioning affairs as he goes about with his struggle to find his purpose and identity. Harold Anderson Pugh, who attended Xavier University and the Union for Experimenting Colleges and Universities for a short term of higher learning, has completed his new book “Inside the Stockade: A Cautionary Tale”: a compelling narrative of the life of Morris – his subjective conflict with himself to gain quantity and quality of life, the adverse indoctrination he has received from the streets – all while searching for a deeper meaning and something to believe in. Published by New York City-based Page Publishing, Harold Anderson Pugh’s tantalizing story weighs on the significance of brotherhood and trust. “Inside the Stockade: A Cautionary Tale” also mirrors the relevance of having to deal with racism and stereotyping people on the basis of their skin and culture. Readers who wish to experience this fascinating work can purchase “Inside the Stockade; A Cautionary Tale” at bookstores everywhere, or online at the Apple iTunes store, Amazon, Google Play, Kobo, or Barnes and Noble.